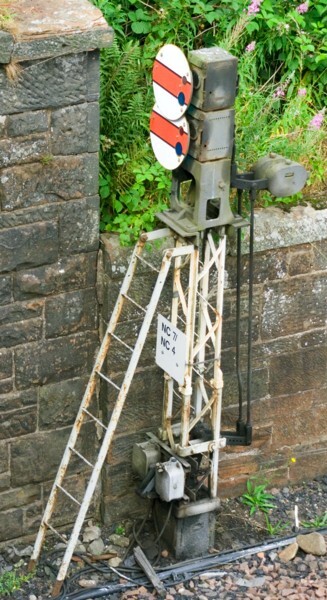 New Cumnock, on the ex-G&SW main line between Dumfries and Kilmarnock, still has an interesting collection of upper-quadrant semaphores. 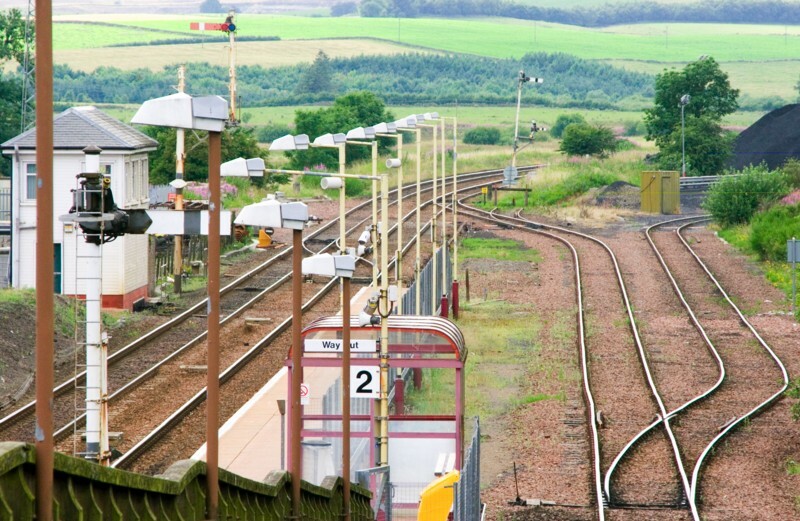 This is the view through the station towards Mauchline Jct and Kilmarnock. 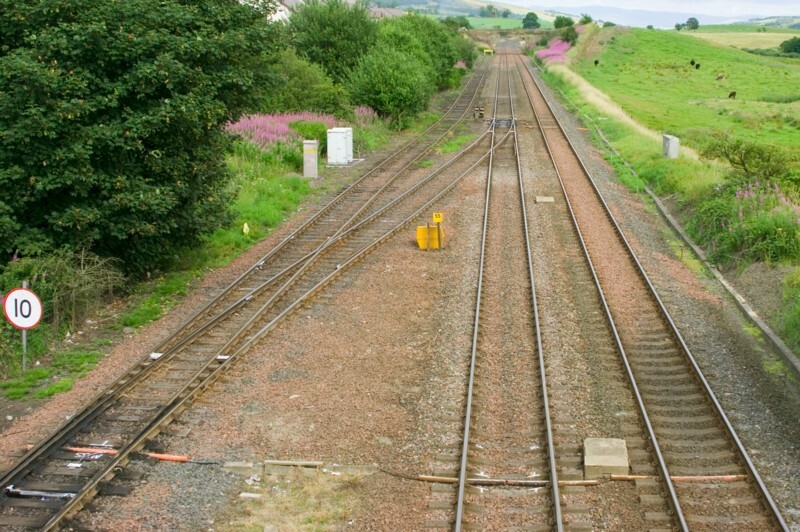 The view in the opposite direction, towards Kirkconnel and Dumfries. 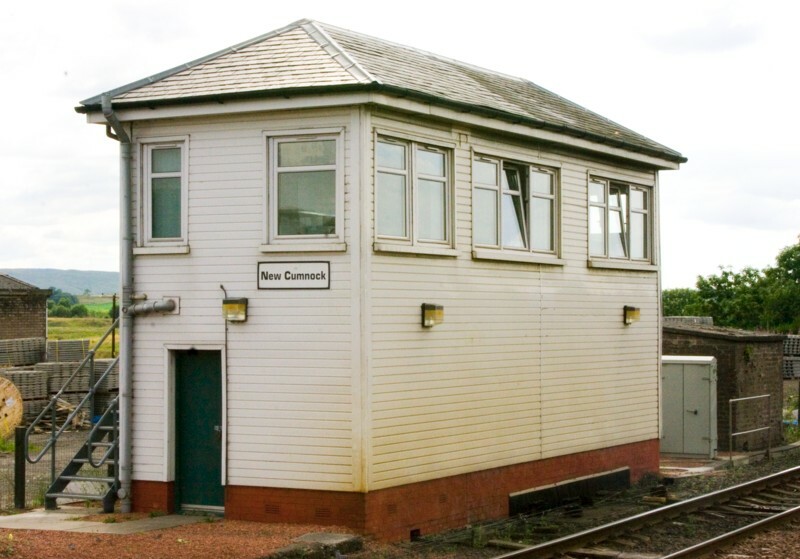 The signalbox was built in 1909, though it was extended and refubished about five years ago as part of a wider Scottish programme to improve signallers' facilities. 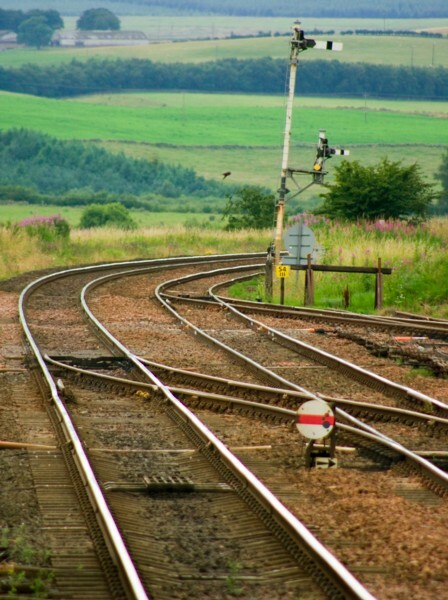 This shot gives a better view of the layout at the north end of the station. A closer view of the Up Main Home 2. 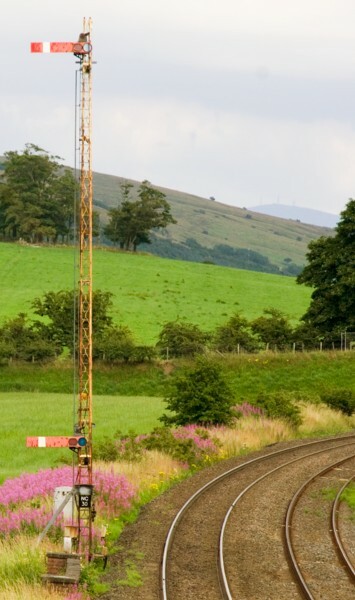 No, I didn't hold the camera skew-whiff, the signal post really is at a slant. 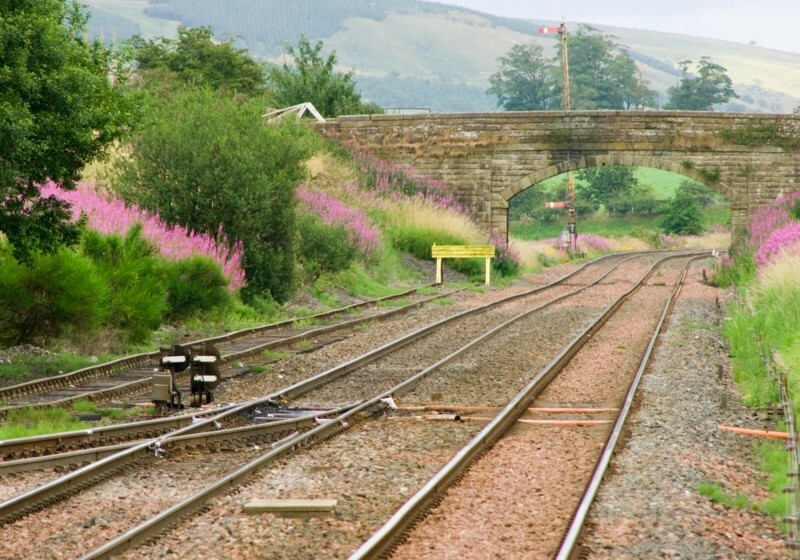 An up goods loop runs behind the station, with a connection to a colliery siding. A close-up of the Up Main Home 3. ... this lovely lattice-posted, co-acting Up Main Starting. The term 'co-acting' means the two arms move simultaneously: the upper one is for viewing at a distance, the lower one from close range. 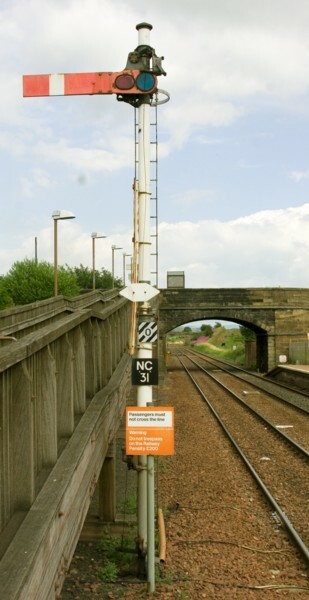 Nowadays there are only about half a dozen co-acting semaphores remaining on Network Rail. Unless the long-range sighting is essential, the upper arms have tended to be removed to eliminate the need for maintenance staff to have to climb all the way up. 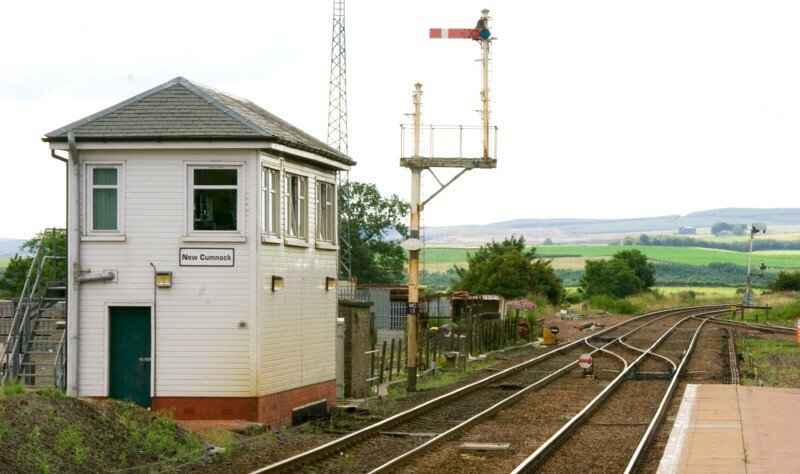 Thankfully, recent conversions of semaphore signals to electric lighting have now eliminated the need for staff to go up regularly just to refill oil lamps. 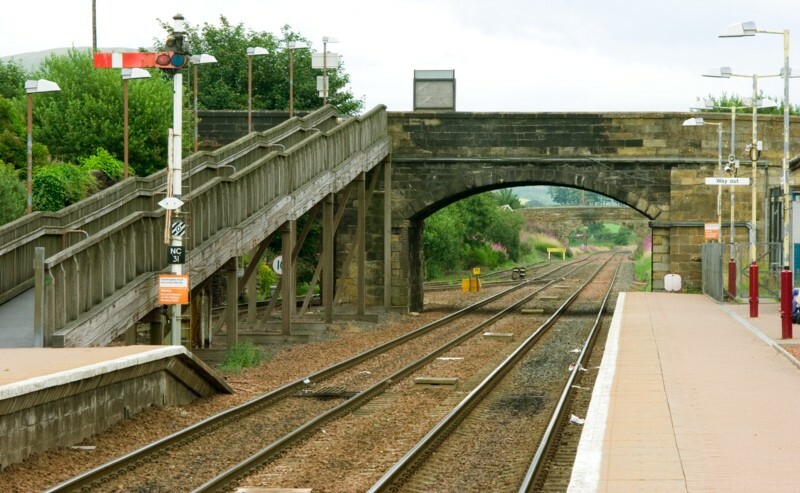 Lurking behind the overbridge in the last-but-one photo is Down Main Home 1. The electric lamp fitting can be seen closely in this rear view. The exit from the goods loop, to the south of the station. 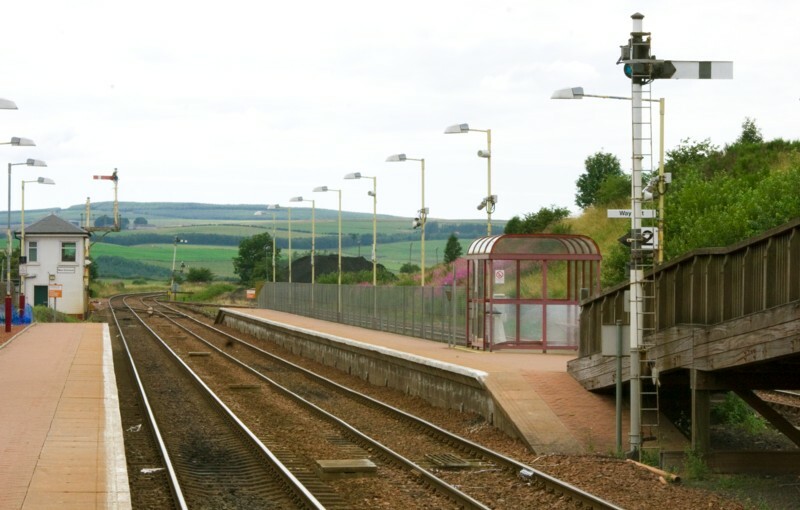 Guarding the exit from the loop, and tucked under the arch of the road bridge, is New Cumnock's other treasure, this lattice-posted elevated double disc. A rear view of the cluster of discs that control reversing moves from the up lines. 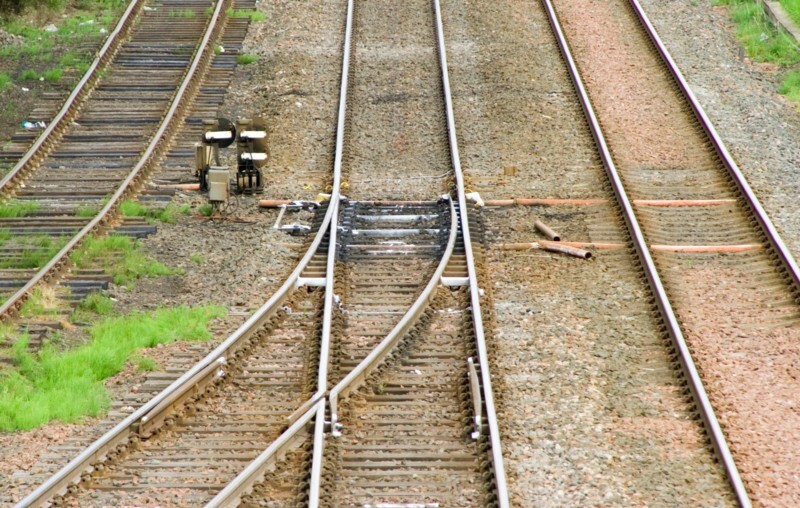 The one on the left applies to the headshunt, the others to the up main. 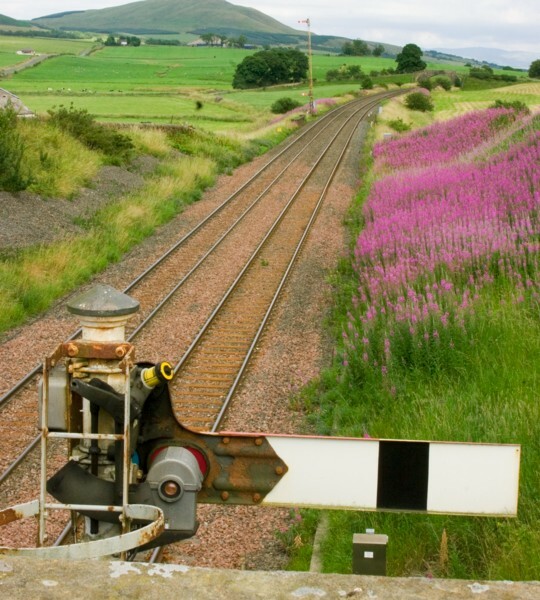 Thanks to Simon Lowe for providing me the actual lever designations for the signals here.